Just a few drops of sherry vinegar can provide great personality to a plate But … why is this vinegar so special? The older vinegars are extracted for being bottled from the closest to the ground barrels . The amount of extracted vinegar is replaced by an equivalent amount from the upper row of barrels, called first criadera, containing younger vinegar , and this mix is cooled by younger vinegar from the second row of barrels ( second criadera ) , and so on. Its this aging process which allows to provide us with an exceptional quality product. Some sherry vinegars are 10 or 20 years old. Moreover, this long aging explains the great complexity of flavors and above all , the high concentration that characterizes these vinegars and that becomes a stimulus for the senses. 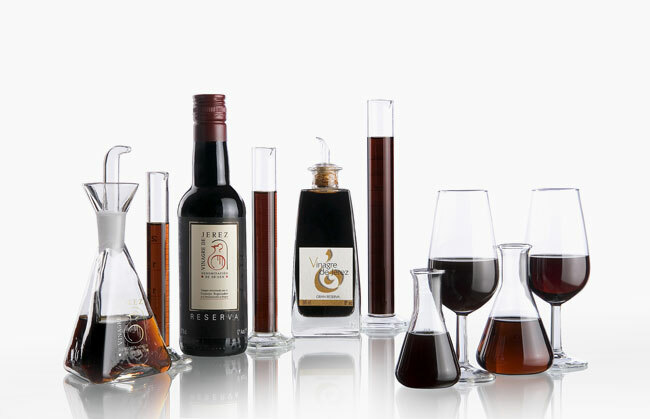 Sherry vinegars are classified based on two factors: the degree of aging and the degree of sweetness. In the first case , The different age is classified in three varieties : Sherry Vinegar Sherry Vinegar Reserva and Sherry Vinegar Gran Reserva. Based on the sweetness sherry vinegar can be classified as Pedro Ximénez and Moscatel sherry vinegar. DO Sherry Vinegar was created in 1995. It was a real milestone as it was the creation of the First Appellation of Origin of Vinegar in Spain . There are currently only three designations of origin for such products in Europe: Sherry Vinegar, Modena (Italy) and Condado de Huelva (Spain). The history of these vinegars goes back to Sherry ‘s own history , around 3000 BC , when the Phoenicians arrived in this Andalusian region and planted the first vines. Some of these wines acidity level began to rise above desired for a wine. In some wineries , this extra acid wine was confined to not hurt the pride of the producer. However, they soon began to use the same system that was used for making wines with these barrels of vinegar and what began as a fault of nature , soon became one of the finest products of the wineries that had kept them in secret as a condiment for the family. In the nineteenth century , many French merchants who had tried these vinegars began exporting them to France where their reputation grew stronger. Today is a unique dressing , acclaimed by top chefs from around the world . 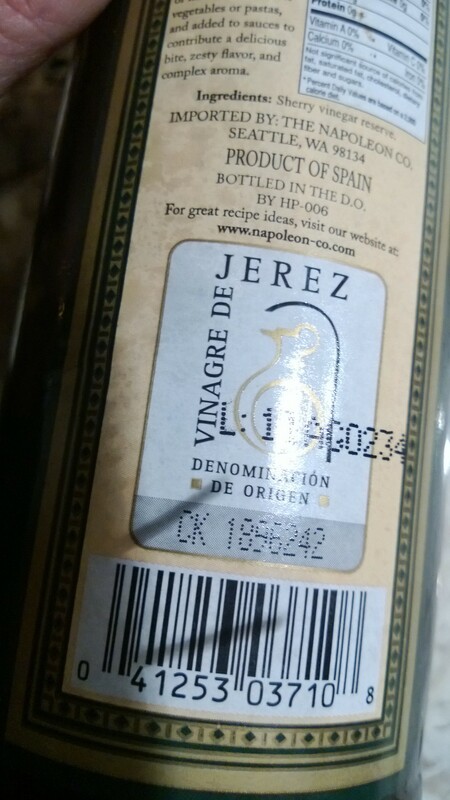 If you want to buy authentic Sherry Vinegar you´ll need to find the DO Jerez label in the bottle as shown. 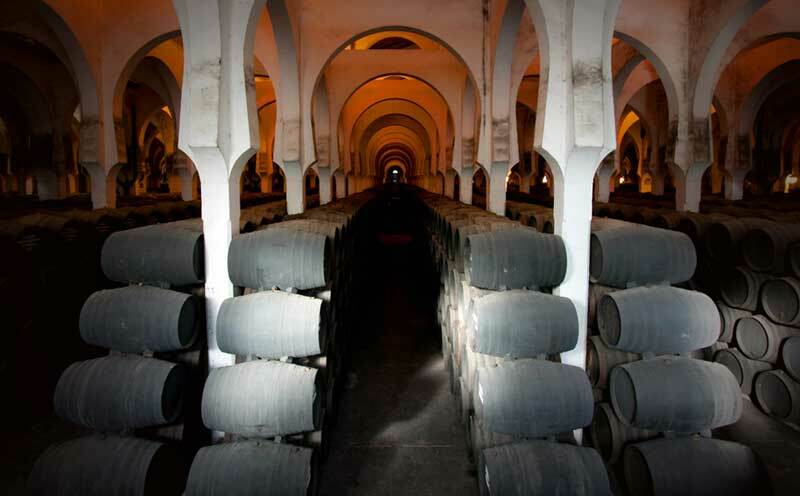 • Sherry Vinegar : Its features come from a breeding between six months and two years in wooden barrels. This variety has an intense taste and scent suggests acetic fine brushstrokes reminiscent of nuts. It has a mahogany amber tones splashed . • Sherry Vinegar Reserva: mahogany amber with bright reflections are closely related to its aging in wood, which is between two and ten years. It Emphasizes its powerful nuanced of great diversity, such as vanilla , nuts and wood aroma . The palate also has a blotter acid and flavor that recalls its origin from Jerez . • Gran Reserva Sherry Vinegar : Its more than ten years in wood barrels gives it a distinctive aroma of deep acidity also contains notes of old wine . It is a very round , large , dry and well balanced , with a post- acid taste and prolonged and notes of dried fruits and spices flavor. Its color is a deep mahogany and It has very silky texture. • Pedro Ximenez Sherry Vinegar : This is a semi – sweet, smooth and creamy vinegar flavor. Its aroma of sherry from which it inherits its name , featuring the evocation of dried fruits , licorice and roasted . It has a deep dark mahogany color that accentuates your body and density. • Moscatel Sherry Vinegar : From the variety of Moscatel wine , this is also a semi – sweet vinegar with a vivid mahogany color. Like the previous variety , aroma recalls its origin Muscat, scented dried fruits . It is very sweet and has a velvety texture. Posted on March 18, 2014, in Products and tagged Jerez, Moscatel, Pedro Ximénez, salad dressing, sherry vinegar, vinagre de Jerez, vinegar. Bookmark the permalink. Leave a comment.